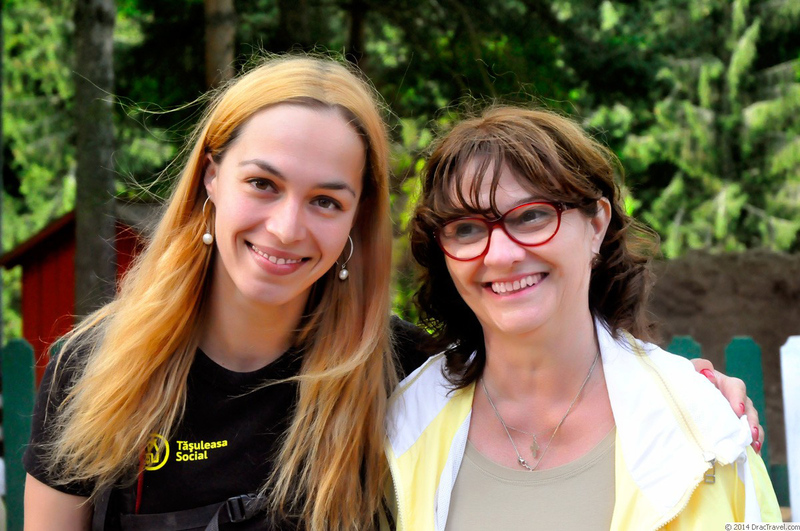 Miruna Maxim, Tăşuleasa Social, with Daniela Diaconescu, vice-president of the Transylvanian Society of Dracula, during the Via Maria Theresia, August 2014. Picture: Hans Corneel de Roos/Dractravel. Back in 2010, I joined a “vampire club” for the first time: the Transylvanian Society of Dracula—the Canadian branch, specifically. The main reason I did was because of its dedication to Dracula and vampire scholarship, courtesy of its annual journal, the Journal of Dracula Studies. I’m still a member. The Canadian chapter was formed during the First World Dracula Congress in 1995; the Transylvanian Society of Dracula itself was founded in Bucharest in 1991. In 2016, the “mother” organisation celebrated its 25th anniversary (founded in Bucharest in 1991)—which included some major upheavels. For starters, the Canadian chapter, established in 1995, became the North American chapter, shifting its base to Kutztown University, Pennsylvania. The president, Elizabeth Miller, stepped down—and a bigger surprise came to pass shortly after the organisation’s Fourth World Dracula Congress (October 20–21, 2016). I discussed those changes with the Transylvanian Society of Dracula’s vice-president, Daniela Diaconescu, which you can read in my exclusive interview for Vamped. Back in 2010: Anthony Hogg, “Bite-Size Halloween Bits,” Diary of an Amateur Vampirologist (blog), October 31, 2010, accessed January 24, 2017, http://doaav.blogspot.com.au/2010/10/bite-size-halloween-bits.html. archive.is link: https://archive.is/wFjxm. the Canadian chapter . . . became the North American chapter: see Daniela Diaconescu, “Announcement,” and Elizabeth Miller, “A Fond Farewell…” in The Borgo Post, Winter 2016, 1–2. exclusive interview for Vamped: Daniela Diaconescu, “Interview with Daniela Diaconescu, Vice-President of the Transylvanian Society of Dracula,” interview by Anthony Hogg, Vamped, January 21, 2017, accesseed January 24, 2017, http://vamped.org/2017/01/21/interview-daniela-diaconescu-vice-president-transylvanian-society-dracula/. archive.is link: https://archive.is/0thZu. « Three Years, Already. Amazing!